When most people think of immigrating to the European Union, Denmark doesn’t immediately spring to mind. But with an attractive corporate culture, flourishing IT industry, and laid back European lifestyle, Denmark turns out to be a very good prospect for someone who wants to live and work abroad. Points based immigration systems which assess people based on their skills and other factors are becoming increasingly popular across the globe. The United Kingdom is currently implementing its own points based system after getting some inspiration from Australia’s success in attracting skilled migrants. However, Britain isn’t the only European Union state that utilizes a points based immigration scheme. 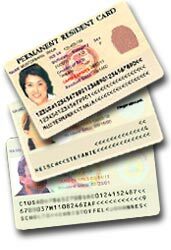 Denmark has its own points system: the Danish Green Card. The Danish Green Card allows skilled individuals to obtain a residence permit visa based solely on their qualifications for the purpose of finding work in Denmark. The residence permit is granted after a successful evaluation based on a points based system, which scores applicants on factors such as age, educational level, language skills, and work experience. Bonus points can be rewarded if the applicant obtained a qualification from an eligible university. In addition, extra points can be gained by having training or qualifications in an occupation on a list of jobs that Denmark considers in shortage. If the person scores enough points, he or she is granted a residence permits valid for three years. In addition, the applicant is allowed to bring his or her family. In a recent news release, the Danish Immigration Service highlighted the many reasons a person could do well to choose Denmark as a destination. "There are many good reasons for seeking work in Denmark," the release stated. "...Denmark has an attractive working environment with relaxed and development-oriented working conditions." 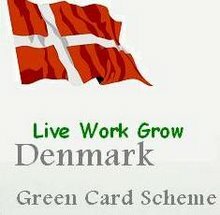 To apply for a Danish Green Card click on Danish Green Card Program.